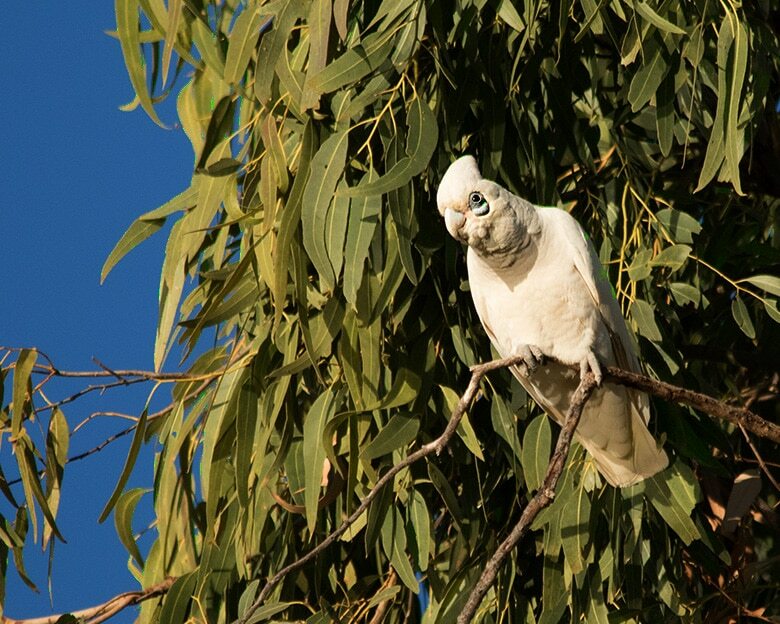 Bird photographers have a real treat in store when visiting Clermont Queensland. There is a small natural pond, Hoods Lagoon, on the entrance to the quiet little village and a larger lake, Theresa Creek Dam, about 15 kms away. Theses two waterways provide an astonishing range of bird species to photograph. 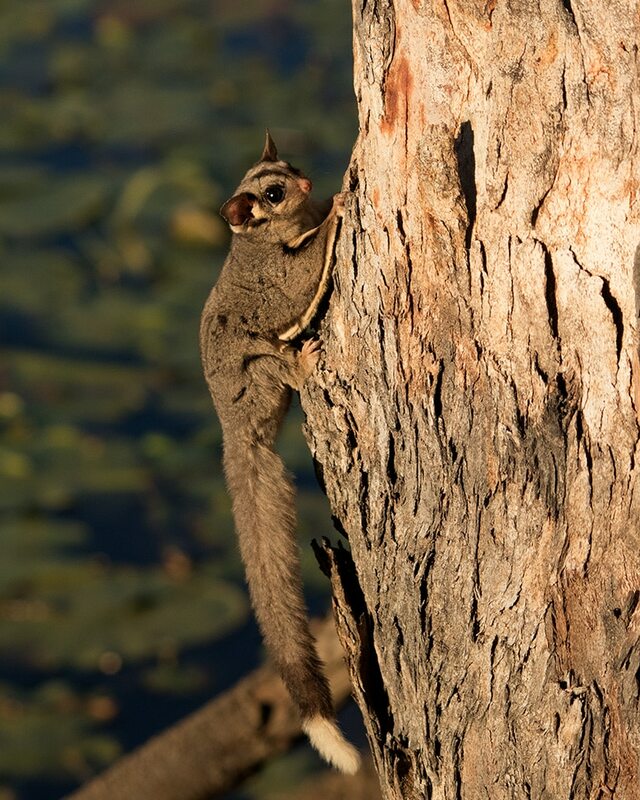 Our latest trip to Clermont netted many great photos and a surprise encounter with a beautiful little Sugar Glider. As we strolled around Hoods Lagoon late on the first afternoon of our trip, there was this little guy at the base of a tree next to the walking path. 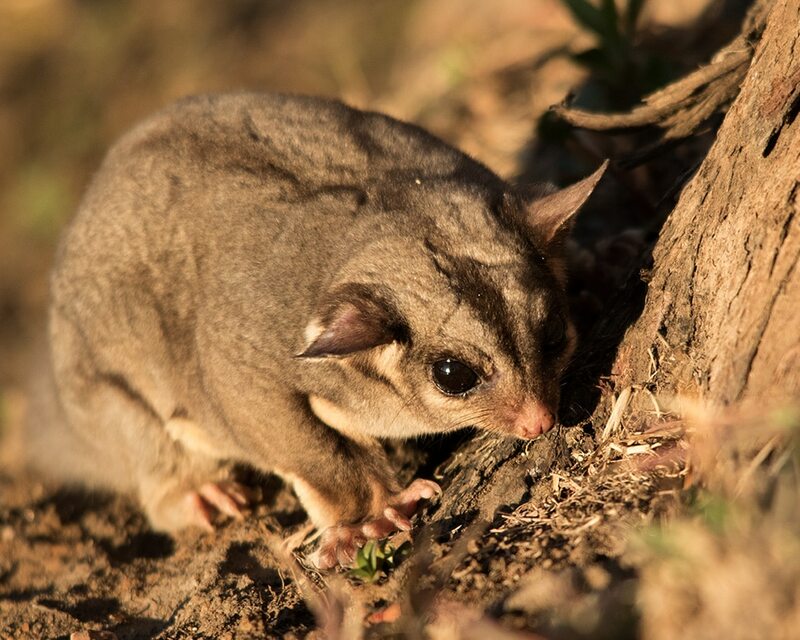 You don’t often see them during the day, let alone see one on the ground, so you can imagine our excitement as we came across this cute little Sugar Glider. The sugar glider wasn’t too afraid of us so we hung out with him (or perhaps her), whilst it made up it’s mind which tree it wanted to climb. There is something really special about encountering wildlife such as this. It gives one a deep appreciation, and stark realization, that we are actually in their environment, not the other way around. But we are bird photographers this trip, so back to the main subjects. Hoods Lagoon is home to a variety of fish. 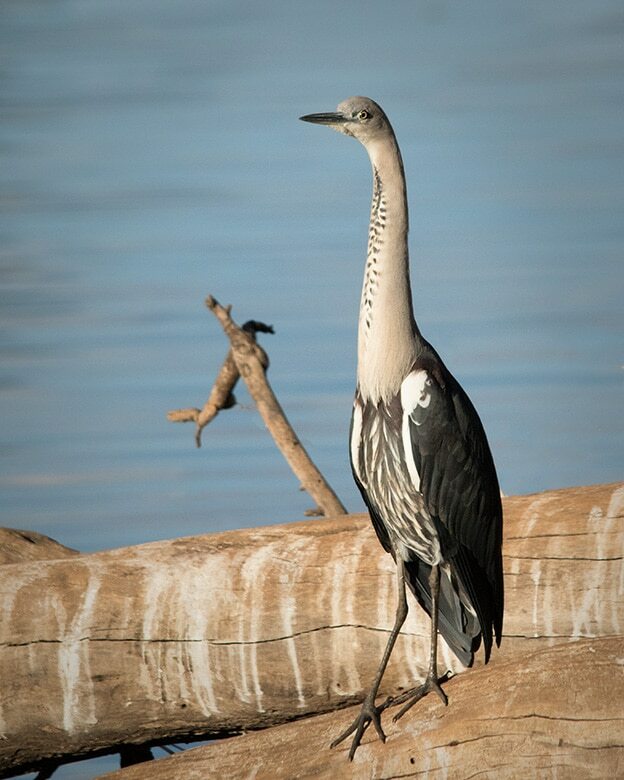 Naturally fish eating birds such as cormorants, egrets, blue herons and pelicans love this little oasis in an otherwise dry Australian outback town. 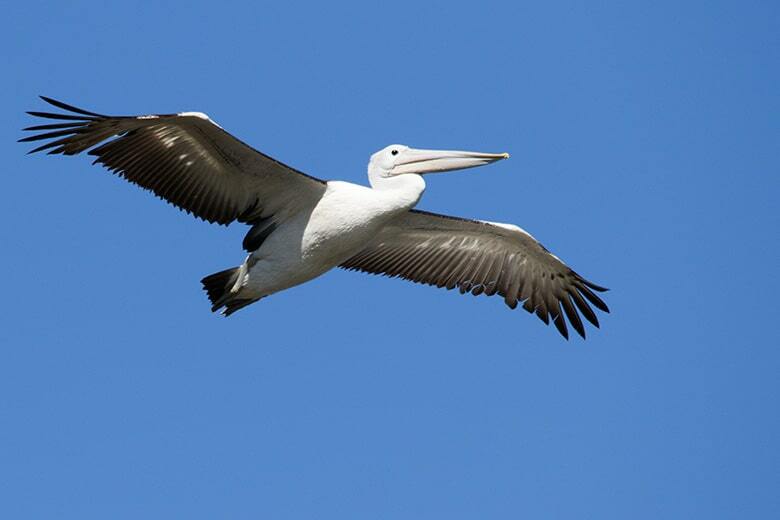 On our visit we counted some 15 pelicans cruising around the calm water of the lagoon. Locals told us that there would have been a hundred or so a week prior to our visit. 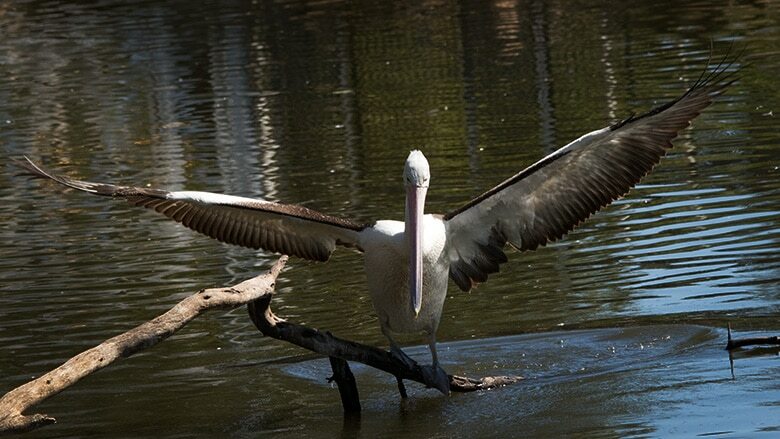 Pelicans make fantastic photo opportunities for bird photographers as they are big, slow moving birds. When they spread those wings, the feather details are amazingly beautiful. Set your camera to aperture priority. ISO 400 or even up to 640. Aperture to F7.1 or even F9.0 to capture all the bird. You should then have a fast enough shutter speed to get a nice sharp image hand holding your camera. 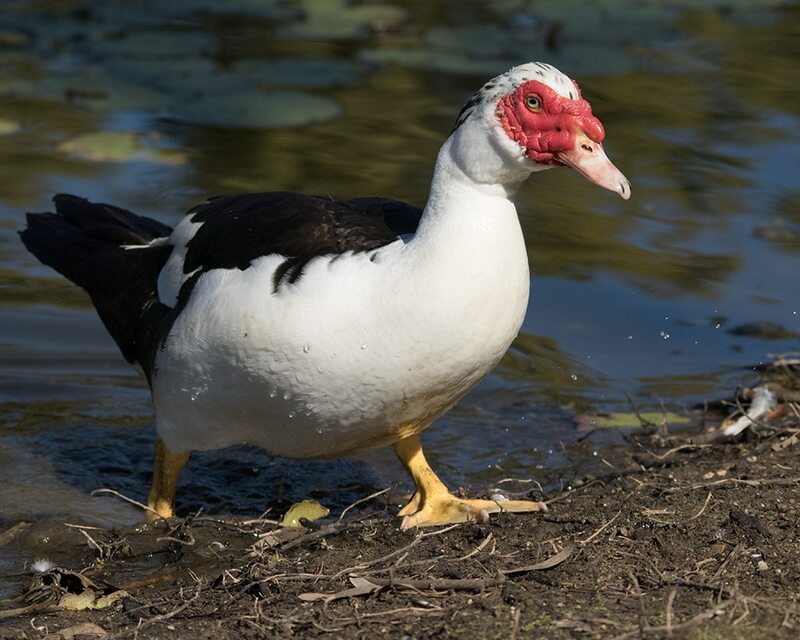 There are native ducks, coots and a fair few geese that were probably domestic at one time. 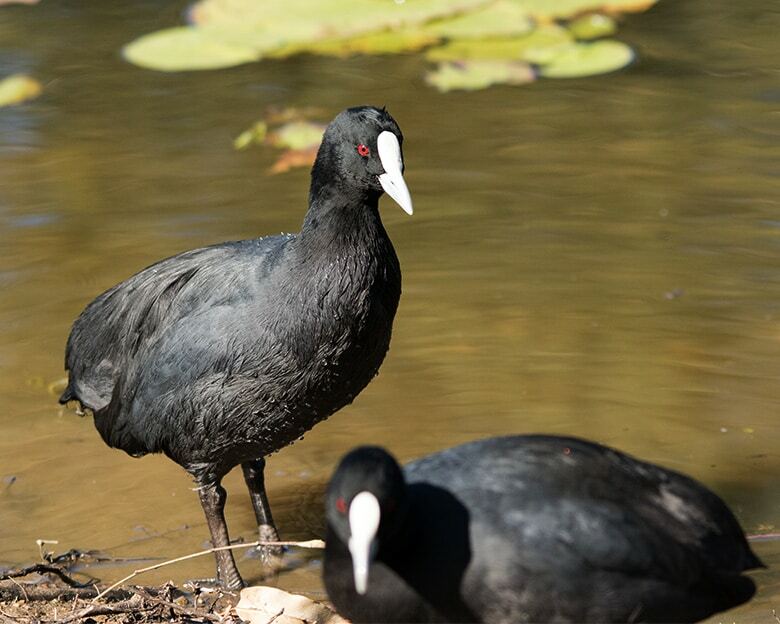 Coots don’t seem to be anybodies favorite bird to photograph. 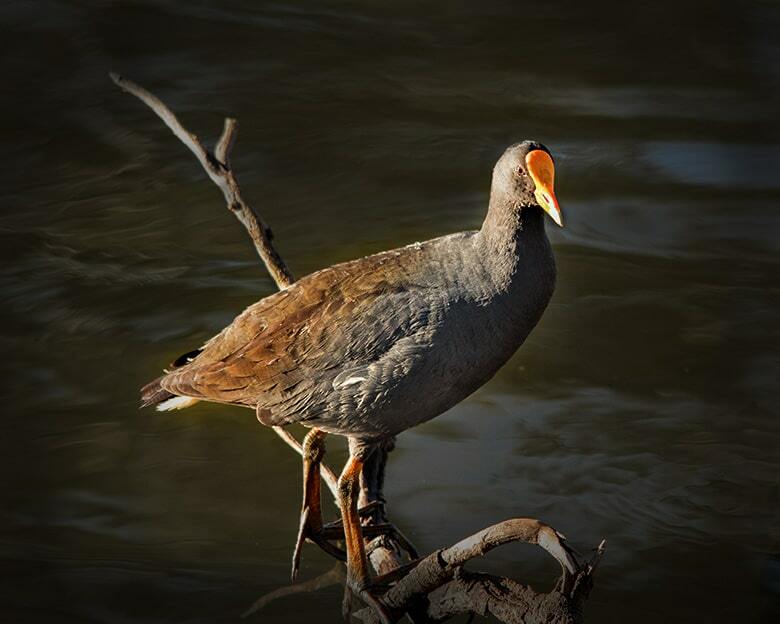 If you take the time to study these beautiful creatures, you will come to appreciate the colours and stunning plumage bird photographers can capture through their lens. The geese at Hoods Lagoon are very well fed. Quite a few locals enjoy giving the geese and ducks bread. 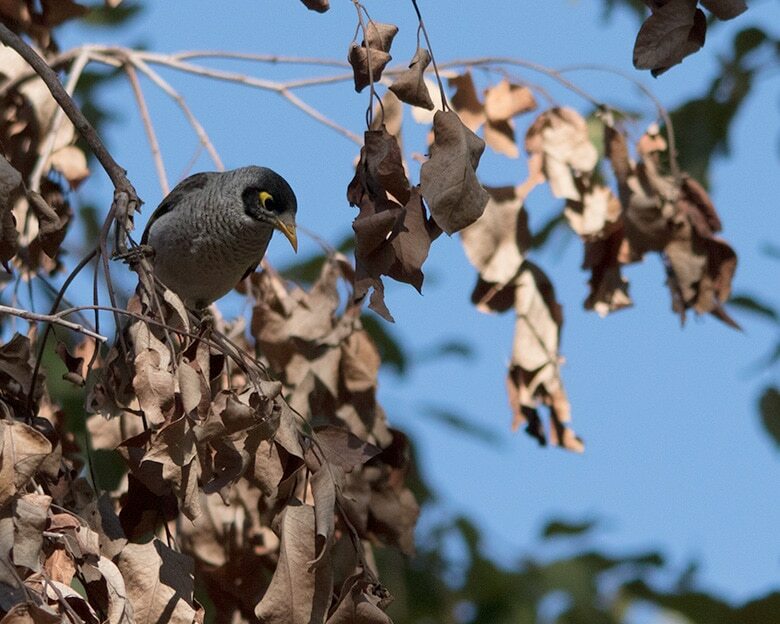 It may or may not be right to feed wild birds, that is something for the moralists to debate. 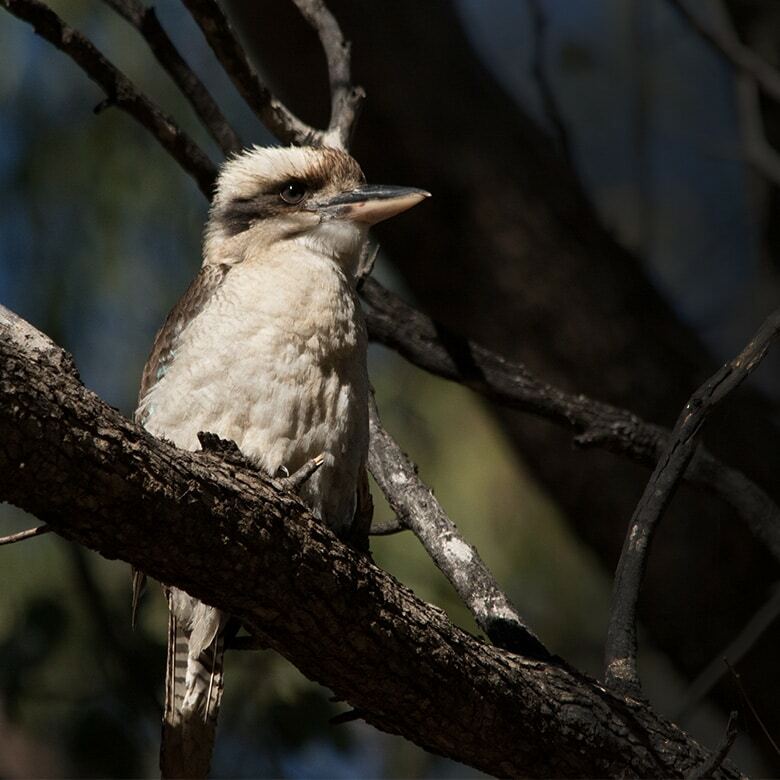 These birds give the locals a lot of pleasure so it can’t be a bad thing. For bird photographers it allows you to get really close to the birds as they have become some what tamed. You can capture amazing detail in your photographs without the need for super long telephoto lenses. 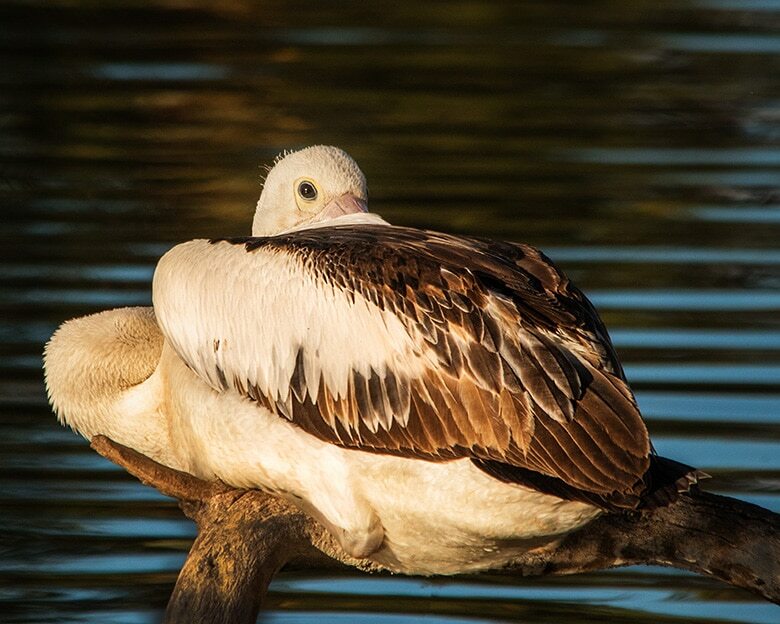 Other birds that frequent Hoods Lagoon are black ducks, corellas, kookaburras, ibis, apostlebirds, grebes, Australasian Shoveler, myna birds, darters and many more. Bird photographers also love Theresa Creek Dam. We went out hoping to catch the local terns diving for fish. We want to capture a photo of a tern diving, freezing the action just before impact with the water. Alas no diving terns this trip, but the pelicans were flying back and forward. This is a bit strange as they usually don’t fly around that often. No complaints from us. Clermont area is a natural wonderland for bird photographers. If you want a few tips on how to photograph birds, we have an informative post with our best bird tips here!